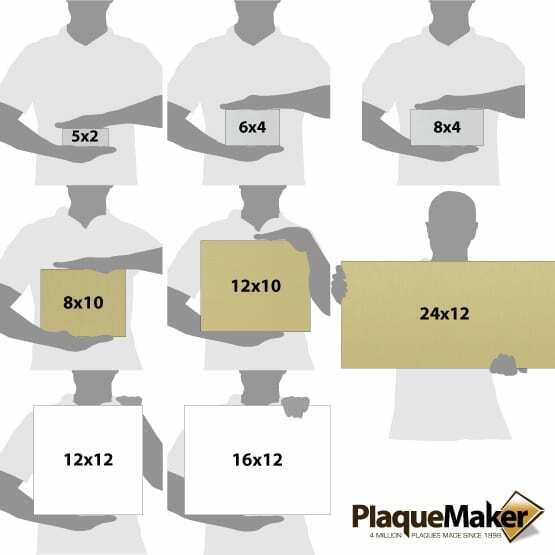 Up to 24" x 12"
- Select -Up to 5x2" or 10x1"Up to 8x4" or 16x2"Up to 10x8" or 20x4"Up to 12x10" or 24x5"Up to 12x12" or 24x6"Up to 16x12"Up to 20x12"Up to 24x12"
This product is expected to ship on Friday, April 19 if you place your order within the next 23 hours and 26 minutes. Create an easy-to-read sign at a workplace or small business with these personalized full-color aluminum signs. 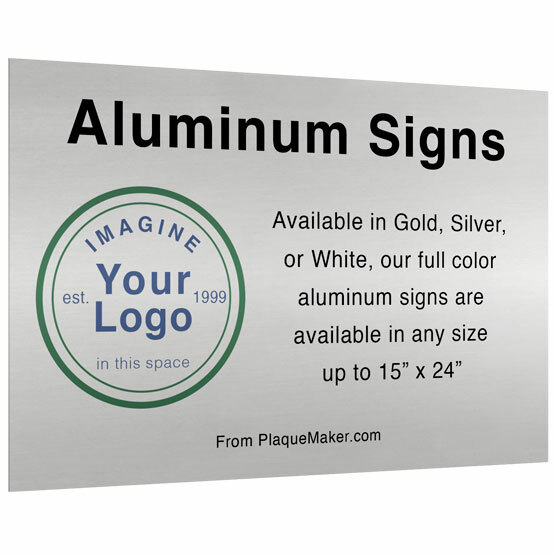 Available in any size up to 24" x 12" or as small as 5" x 2", these aluminum display signs are excellent for guiding visitors, labeling rooms or designating specific indoor areas of your office. 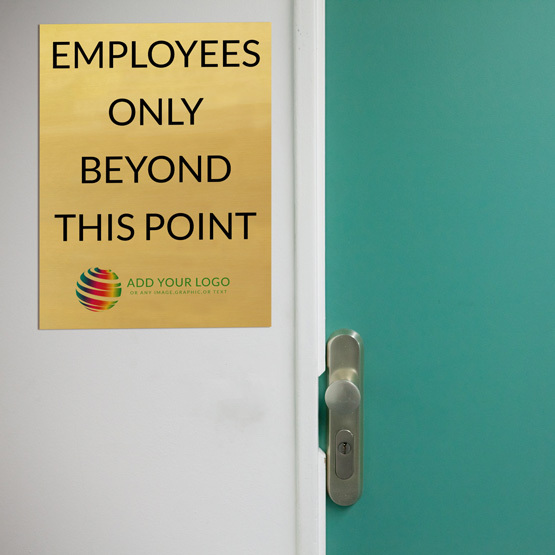 They're available in gold, silver or white aluminum, depending on your preference, and can be created in a variety of shapes and in your choice of text color. Overall Size: Up to 24 x 12"
Great custom design options! Quick delivery! The design options let me custom design my sign exactly the way I needed it. The staff at Plaque Maker then reviewed it and made it even better. After the order was complete my sign arrived in just a couple of days! t looks great. I will modify the layout a bit. I bought one as a sample. I will say that if it were possible to "see" a rendition prior to ordering, I could have made my adjustments in real time and ordered all that I needed at one time. Excellent job. Done correctly and delivered on time.